With over 70 years of combined legal experience, our seasoned litigators can help you find solutions to even the most trying of divorce or child custody disputes. 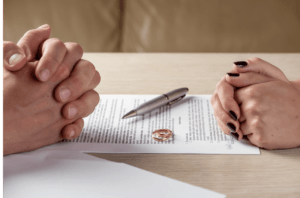 Whether your divorce is entirely amicable or especially grueling, we can guide you through the process and ensure you get what you deserve. At Abel & Zocolo, LPA in Independence, Ohio, we have an extensive background in advocating for our clients, and have litigation experience ranging from the local level to the Supreme Court of Ohio. With their 72 years of collective legal experience, our attorneys use their varied talents, backgrounds and skills to handle everything from counseling clients through a simple uncontested divorce to fighting for them in the most arduous of trials. It is through our collective experience that we are able to offer our clients a unique approach to resolving your individual legal issues. Established in 1974, Abel & Zocolo Co., LPA is a law firm devoted to the practice of family law in Northeast Ohio, allowing our lawyers to craft specialized solutions to even the most unique or difficult of family disputes. If you are seeking to establish custody or to modify an existing order, our expertise can help you end up with as much valuable time with your children as possible. There is no doubt that the attorneys in our firm each pride themselves on their expertise in matters of family law, and they spend a great deal of their practice devoted to litigating cases in area domestic relations and juvenile private custody courts. Because life provides us with more trials than getting divorced or fighting for the best interests of our children, though, our attorneys also excel at guiding clients through matters of probate and personal injury law. From drafting simple wills to representing auto accident victims and even administering the estate of a loved one, we will stop at nothing to ensure that you remain comfortable with the legal aspects of your case throughout the entire process of each representation. Our firm is small enough to provide a high level of personal attention and service to each one of our clients, but we are also large enough to handle even the most complex of situations. Because we have a support team in place which rivals firms much larger than our own, we are able to provide top-notch legal services at a very reasonable rate. Our seasoned familiarity with the law and experience in client-attorney collaboration also allows our clients to gain peace of mind, as we strive to ensure that they not only remain informed about developments in their case but also are able to understand the path forward. Whether your situation requires out-of-court settlement, mediation, collaborative practice or traditional court proceeding, we can help you achieve the positive results you want without needing to drain your child’s college account to get there. Don’t speak English? We can still help you! Spanish, Russian, and Italian translators are available on-staff. Hacemos la ley de divorcio y custodia de los hijos, y tenemos un traductor en el sitio. Мы занимаемся разводом и опекой над детьми и имеем переводчика на сайте. Abbiamo praticare legge sul divorzio e custodia dei figli, e hanno un traduttore in loco. Call Abel & Zocolo, LPA at 216-621-6138 or contact us online to schedule your initial consultation. 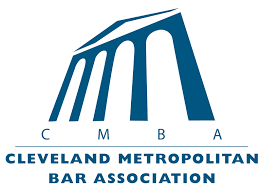 Abel & Zocolo, LPA is located in Independence, OH and serves clients in and around Cleveland, Lakewood, Berea, Cleveland, Olmsted Falls, Euclid, Beachwood, Rocky River, Maple Heights and Cuyahoga County.